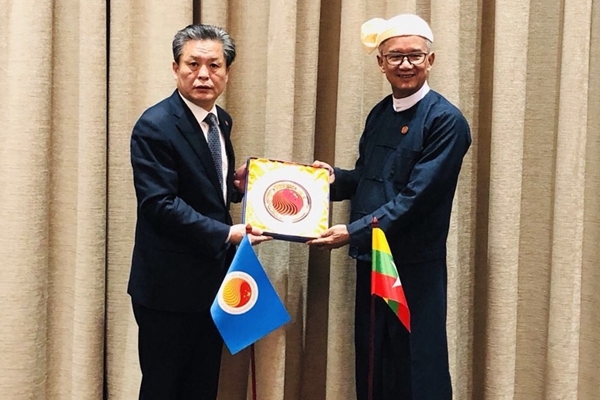 On 16 January 2019, Mr. Chen Dehai, Secretary-General of ASEAN-China Centre (ACC), met with Mr. U Ohn Maung, Union Minister for Hotels and Tourism of the Republic of the Union of Myanmar, while attending the 38th ASEAN Tourism Forum (ATF) at Ha Long City, Viet Nam. Ms. Kong Roatlomang, Director of Education, Culture and Tourism Division (ECTD) of ACC attended the meeting. 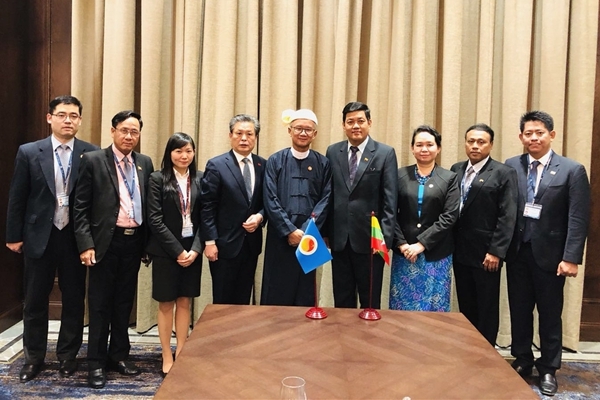 Minister U Ohn Maung highly praised the Pauk-Phaw friendship and thanked ACC for its positive role in promoting cooperation between Myanmar and China in various fields. He said that tourism industry of Myanmar has developed rapidly in recent years and the number of Chinese tourists visiting Myanmar has been increasing. He hoped to strengthen the cooperation with ACC to further promote sustainable and healthy development of tourism industry of Myanmar and attract more Chinese tourists to Myanmar. In order to better serve Chinese tourists, Myanmar would continue to improve infrastructure and actively develop more and better tourism products. Secretary-General Chen Dehai recalled affectionately his experiences in promoting China-Myanmar friendship. 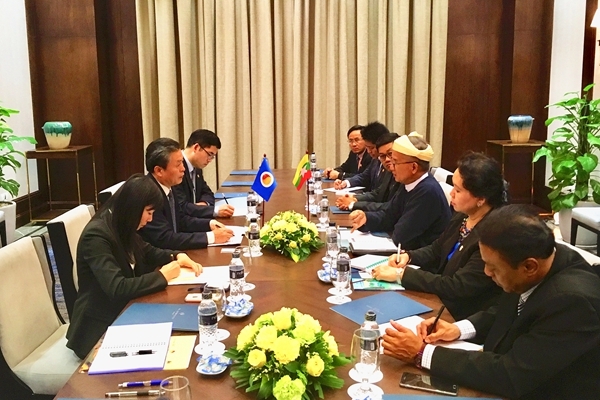 He thanked Myanmar for its strong support to ACC, and briefly introduced the work and planning of ACC in the field of tourism, including achievements in helping with Myanmar’s capacity-building, promoting Myanmar’s tourism resources in China, and deepening China-Myanmar and China-ASEAN cultural exchanges. He said that ACC would continue to leverage its own advantages in mobilizing various resources to strengthen tourism cooperation between China and Myanmar, promote healthy, orderly and sustainable development of Myanmar’s tourism industry, and enhance friendly exchanges and practical cooperation between the two sides to a new level.